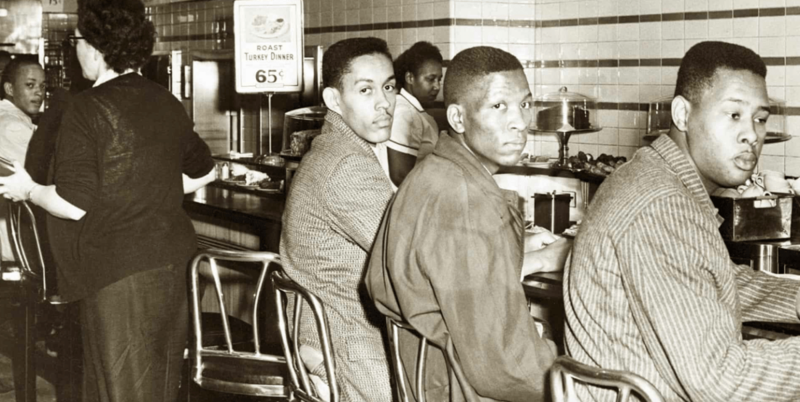 Sitting down to take a stand was the powerful method of operation for a young group of black students Joseph McNeil, Franklin McCain, Ezell Blair Jr. and David Richmond, who were refused service at a lunch counter in Greensboro, North Carolina, but stayed and sat in until it closed anyway. This sit-in movement soon spread to other North Carolina cities with segregated businesses in Winston-Salem, Durham, Raleigh, Charlotte, and eventually across the country. The Woolworth’s restaurant in Greensboro reportedly lost $200,000 due to boycotts, and it was the best type of punishment for their racist behavior. When all else fails, hit ’em where it hurts — in their pockets. Then on July 25, 1960, the store manager finally decided to desegregate the store and later that day, four of his black employees became the first black customers to be served at any Woolworth’s lunch counter. The sad truth is that it took businesses losing money before any of them would listen or take any action. But that became the theme of this movement throughout the south during the peak of the civil right’ era. 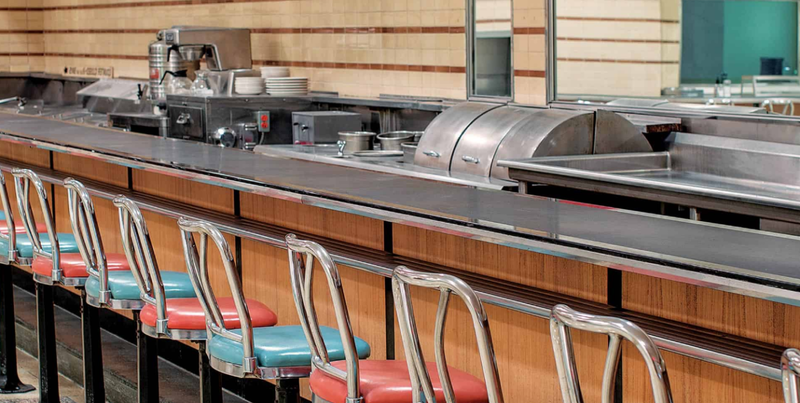 And now, the seats and counter remain in the original building in Greensboro, which can be found at the International Civil Rights Center & Museum. 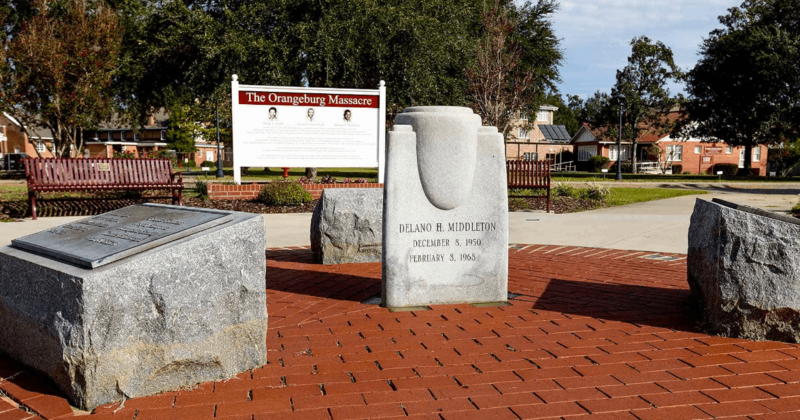 With sit-ins gaining leverage, a group of 1,000 students in Orangeburg, South Carolina decided to mobilize their efforts and boycott multiple segregated businesses with more sit-in demonstrations. This eventually led the police force and firemen to attack them with fire hoses and tear gas, pinning them against walls and the ground as protestors peacefully withstood their brute force. Almost 400 of those students went on to be arrested and over 85% of them went on to be convicted and fined for disrupting the peace, while their defense lawyer Matthew Perry was briefly jailed simply for defending those students. On top of that, South Carolina State’s University President threatened expulsion from the school to any students who continued their sit-in demonstrations against segregation, and yet, the protest continued. While we can read about the history now, understand that the narrative includes a ton of violence from white citizens, law enforcement, and those who wanted to remain living in a segregated society. Throughout the 1960s, just over 55 years ago, many demonstrators were injured and shot at the hands of the highway patrol, officers, and white people. As these sit-ins continued to gain national attention, the inspiration spread to the city of Baton Rouge, Louisiana. During a sit-in at the Kress lunch counter, seven students were arrested for “breaching the peace” with their bail set at $1,500 each. A civil rights leader by the name of T.J. Jemison was able to raise the money for their bail and the students were able to return to school. It took another 3 years for the U.S Supreme Court to overturn 16 of the convictions from that year and for Baton Rouge lunch counters to become desegregated. When we turn on the television today and see people marching and protesting for change, don’t dismiss it. This is how change happens and this is where history is made. Words can’t describe how grateful I am for the legends and leaders of the past who took a stand (or rather, a seat) so that a black woman like me today in 2018 can eat at any restaurant in America of my choice. If you’d like to learn more about the sit-in movement or over 100 attractions across 14 states, you can visit the International Civil Rights Center & Museum in Greensboro, North Carolina to start. The U.S. Civil Rights Trail is filled with incredibly moving pieces of this country’s history and I encourage you to make it your next state-side destination. Next post: I get paid to travel the world. Here are the 7 biggest lessons I’ve learned.